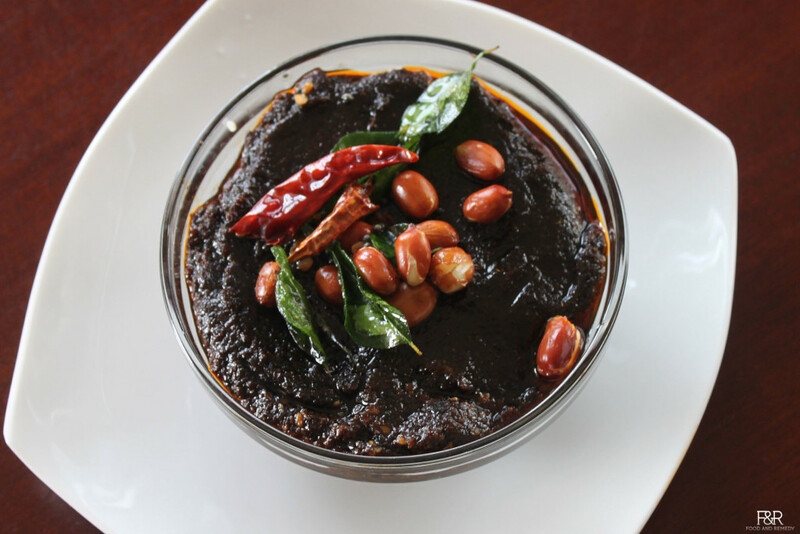 This popular Puliyogare Gojju recipe is from my elder sister’s friend, Jayashree, who is a Mysore Iyengar and prepares Puliyogare just like the popular temple’s prasadam. All credits to Jayashree. Puliyogare Gojju is what we need to for making the Puliyogare rice dish. Puliyogare Gojju can be prepared ahead of time and can be stored in the refrigerator for up to 8 months to a year. Wash and soak the tamarind in 3 cups of water overnight. Or boil the water and soak the tamarind for 3 to 4 hrs. Extract the pulp to the maximum into a large pan. Let it boil on medium heat. Dry roast the sesame seeds, allow it to cool and then powder it and keep it aside. Once the pulp becomes thick, reduce the heat to medium low. Add rasam powder mix well. Add sesame powder mix well and let it boil for few minutes. Finally add oil and let it boil for 8 to 10 more minutes. Or once it comes to the leha consistency or oil comes on the top turn off the heat. Now the Gojju is ready. Once it is cooled completely store it in the fridge. Use dark tamarind for a better color. Remember to cook in low heat. Stir it in between to avoid the burning. Be Careful, after you add rasam powder the mix starts spurting the hot liquid around. For preparing Puliyogare rice, please refer here. This is also popularly known as puliyodharai. can we store this gojju outside. I mean not in the fridge but on room temperature in glass jar. Thank you for the reply. I am a gujarati shifted to mysore recently. kinda made puliyogare a per your recipe an my kid and husband loved it. Thank you once again for the recipe. If you don’t have rasam powder you have to fry all the ingredients which are used to make the rasam powder! Can we use the rasam powder(available in the market like mtr,aachi etc). Will we get the same taste? If No, How to make rasam powder in home? never used the store brought rasam powder, I am sure it will not the same taste. Home made powder taste is different from the store one. Thank you for instant reply. Hi, my son is in abroad for his studies. He is very fond of this puliyogare. I’m going to meet him next month. I’m going to prepare and take it with me for him. Thanks a lot for the recipe. Can I substitute black seasame with regular white sesame?